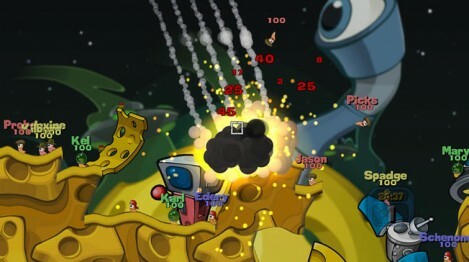 This week – Wednesday July 1st – on Xbox Live Arcade, you can download Worms 2: Armageddon on Xbox 360. The game is 800 points, I guess. 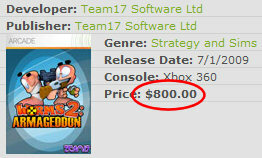 But on the Xbox webpage it’s listed as $800. That should be a big mistprint as you can se in the picture on the right. Return of iconic weaponry: You’ve got more than 40 weapons out of the box, including the return of fire weapons and the beloved Holy Hand Grenade.